What’s happening when and where in the world of food. 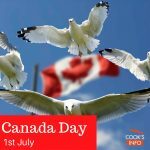 Canada became a country on 1 July 1867. 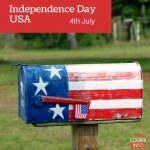 Today is a day for picnics, barbeques, fireworks, concerts, swimming and outings. 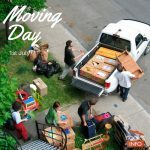 Moving Day is a national tradition in Québec, where today is called the Jour du déménagement. By custom, leases in Québec go from 1 July to 30 June. American Independence Day is a major food day in America. Everywhere there will be hot dogs, picnics, salads, barbeques, brownies. 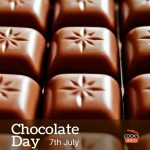 You could use Chocolate Day as a day to indulge in your favourite brand. But we'd suggest you could instead use today as a day to be adventurous, and try a type of chocolate you've never tried before. 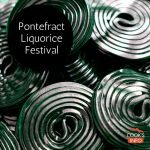 The Pontefract Liquorice Festival is held each year in Pontefract, Yorkshire, England, which has long been associated with the production of liquorice. 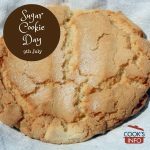 In this day and age of excessive, over the top desserts, when's the last time you had a plain old sugar cookie, crisp on the edges, tender in the middle? 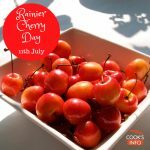 The 11th of July is Rainier Cherry Day. It's celebrated as the end of the Rainier Cherry season nears. 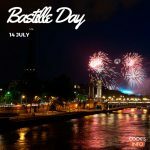 Bastille Day is France's national day. It celebrates the beginning of the French revolution. 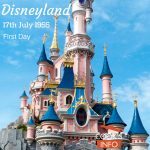 On this day in 1955, Disneyland opened. There are many varied restaurants at the various Disney parks, some of them as good as you'll get anywhere. 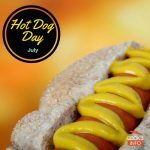 All of July is National Hot Dog Month in America, co-sponsored by the National Hot Dog and Sausage Council, headquartered in Washington, DC, and the American Meat Institute. The 24th of July is Coffee Day Few people probably need a special reason to have a coffee on any given day. 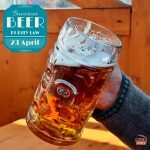 But for today, you could mix it up: have coffee in a different form from your usual, or try a coffee-flavoured dessert or chocolate-covered coffee. 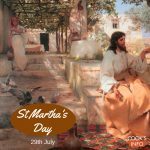 Today is St Martha's Day. She is the Patron Saint of Cooks. Irma Rombauer chose St Martha for the cover of the first edition of her book “The Joy of Cooking." Get your fork ready to celebrate a dessert that just about everyone loves!